Naruyoshi Kikuchi is a jazz musician born in Chiba in 1963. His avangard style attracts a lot of fans not only in jazz scene but also rock or club music scene. 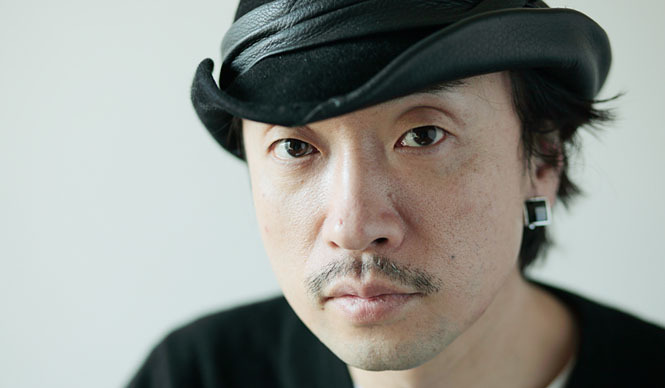 After making a professional debut in 1984, playing in Yosuke Yamashita group, he produced some albums and groups. In 2004 he declared to go back to jazz, and released solo albums called “DEGUSTATION A JAZZ “ and “Nambei no Elizabeth Taylor”. In July 2006, his jazz-standard collaboration album with UA “cure jazz” became a big hit. Also, he organizes a educational foundation “Penguin Ongaku Daigaku” and teaches mostly jazz at film and art school, Tokyo University Educational Department, Kunitachi College of Music, Tokyo University of Arts, and Keio University. Also his talent in eloquent writing is valued in many forms of media including music, fashion, art magazines.